Founding physician, Dr. Charles Haddad is board certified by the American Board of Obstetrics and Gynecology and a long time resident of Northern New Jersey, where he has been a leader in the women’s healthcare and surgical community. He is joined by Dr. Jacqueline Smith and Dr. Nyota Peace. Dr. Haddad is proud to be the driving force behind a totally committed team of highly trained and skilled professionals, experienced and eager to promote health and well-being for the women of northern and central New Jersey. Dr. Charles Haddad is board certified by the American Board of Obstetrics and Gynecology and a long time resident of Northern New Jersey, where he has been a leader in the women’s healthcare and surgical community. Dr. Haddad has been in private practice since 2001, and currently maintains hospital affiliations at St. Mary’s Hospital in Passaic, NJ, The Valley Hospital in Ridgewood, NJ and Hackensack University Medical Center at Mountainside Hospital in Montclair. Born and raised in Syria, Dr. Haddad received his medical degree from the Faculty of Medicine of Damascus University. Dr. Nyota Peace is a trusted and reliabe OB-GYN serving the community of Clifton, NJ. 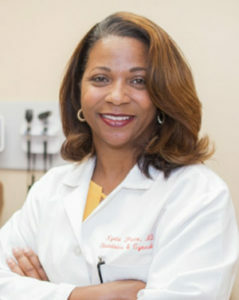 Dr. Peace attended the Medical University of South Carolina, where she received her medical degree and completed her residency in obstetetrics and gynecology at Rutgers, the State University of New Jersey. She is versed in high risk obstetrics, gynecology, gynecological surgery and robotics. She enjoys the ability to care for patients in all aspects of womanhood and a wide range of conditions from thie first gynecoligical visit through menopause. Dr. Peace is known for her bedside manner and kind demeanor. Born and raised in Jersey City, Dr. Peace is familiar with the wants & Needs of patients in Northern New Jersey. She believes in listening to each patient and creating a partnership to maintain and improve lifelong health. After practicing in North Carolina for several years, she returned to her home state to continue the high level of care that her patients deserve. Jacqueline Smith is a devoted and caring OB-GYN that currently serves in Clifton, NJ. 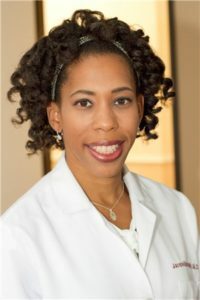 She attended the Medical University of South Carolina, and completed her residency in obstetrics and gynecology at Saint Luke’s-Roosevelt Hospital. Elina Berkovsky is a licensed, NCCPA Board Certified Physician Assistant who joined Clifton Ob/Gyn team in February 2016. She is a graduate of Touro College of Health and Science, NY where she completed her Master of Science, Physician Assistant degree. She is a dedicated and compassionate OB-GYN PA that practices in both inpatient and outpatient settings, manages patients as well as assists in variety of gynecologic surgeries. For more information on Physican’s Asisstants, visit the AAPA website.